The Industry 4.0 market is poised to grow significantly in the coming years. Some of the contributing factors are the increasing adoption of the IoT in the digital transformation of manufacturing and related industries, the rise of industrial robots and the proportionally higher spend in the Industrial Internet of Things. The marketing focus to industrial and manufacturing personnel should be two-fold. One focus should be aimed at engineering and technical personnel, another should be aimed at non-technical personnel. Hopefully, the product, service or technology is helping the potential customer do something they were not able to do with what was previously available. The question, “Why should I buy this product over a competitive product” is usually answered by analyzing the benefits of one product over another. There is a school of thought for showing the machine used to manufacture the component rather than the component part itself. We strongly suggest showing the benefit rather than the capability. As a rule, benefits usually win. Remember, benefits could be your competitive edge! The scope of the Internet of Things and the Industrial Internet of Things is very broad. When marketing this technology to a potential customer, try to show exactly how it can be used in their existing operation or with existing equipment. The use of sensors as an integral part of this technology gives it a wide range of applications, i.e., reducing the use of manual registration, tracking healthcare patients, and the potential to reduce or eliminate down time. This could be considered a very competitive advantage. Other applications might include facility management, production flow management, inventory management, plant safety and security, quality control, logistics and supply chain optimization. 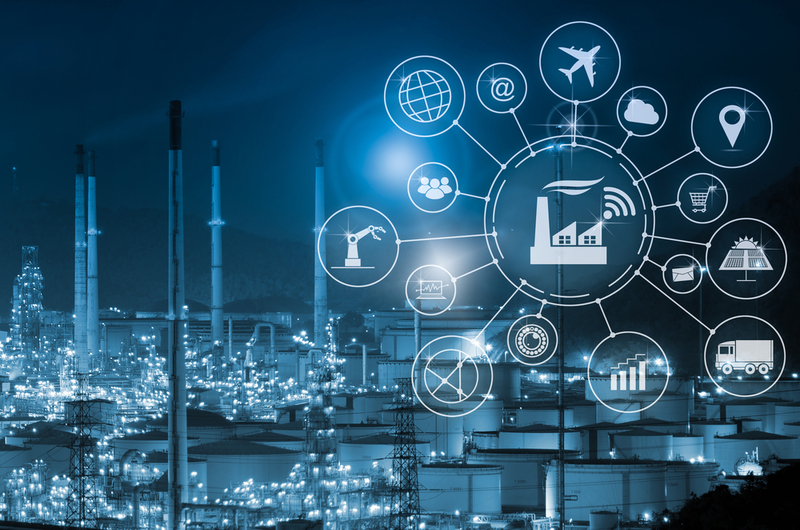 From machine-learning, machine-to-machine communication to artificial intelligence, the Industrial Internet of Things (IIoT) takes IoT technologies and directly applies them to industrial concerns and in the process improves efficiency and productivity. Another important part of the sale is establishing measurable characteristics. This enables progress to be tracked and measured over time to ascertain if the product is performing as described. All these elements can provide credibility and help clinch the ultimate sale. Building automation designed especially for use in the home is known as a “smart home”. For example, it will control lighting, climate, entertainment, appliances, and security. Imagine all these things being able to support your needs and many controlled from your hand-held smartphone. But more importantly to whom should the manufacturers of smart products focus their sales efforts? To start with, the architects who design and plan condominiums, homes, office buildings, etc., home building contractors, retrofit contractors who do remodeling or upgrading, and lastly to the consumer with the hope that they will ask their contractor about including smart appliances and other smart products in their building or remodeling plans. The addition of smart products will ultimately make their life easier and more enjoyable in their new or upgraded home. Even though IoT technology is gaining in recognition, an informative program is needed to educate the professionals and the public on the state of home, car, and wearable personal automation. One communication tool IoT product or technology manufacturers should use is a webinar targeted to potential resellers. This should illustrate how to position these new IoT products to the ultimate purchaser focusing on the money savings, time savings, and convenience aspects. As many articles have indicated, the IoT sales potential over the next few years will be dramatic. With that said, let’s go to market!